Im here with a shoutout as to some fabby ways to grab some amazing goodies!!!! Im proudly on the Design Team for The Paper Boutique Range from Creative Crafting World. 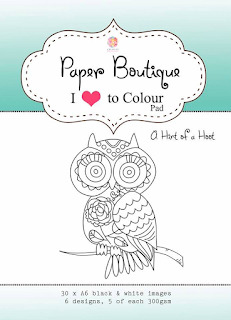 The Launch of the New Hint of a Hoot Paper Pad is on Tuesday 14th On Create and Craft TV at 12 noon and 5pm.